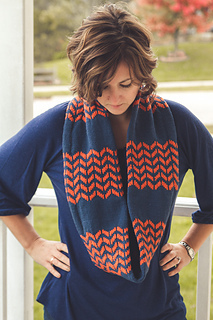 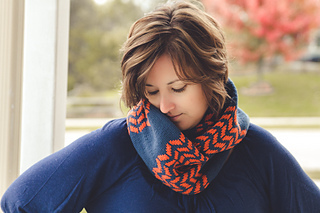 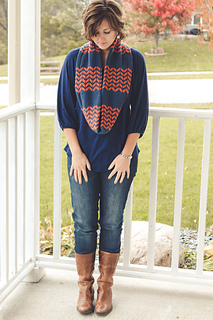 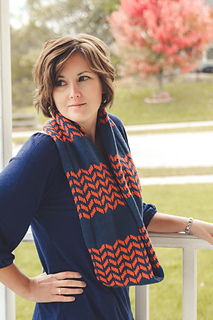 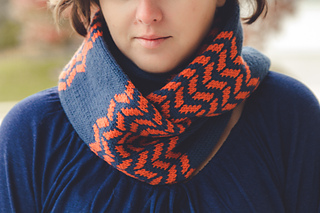 Flambeau is a colorwork cowl, knit lengthwise in the round, using two colors. 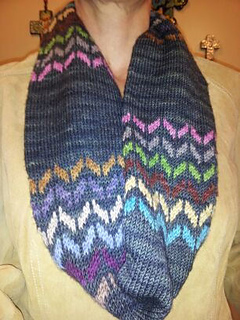 It is cast on provisionally, worked from end to end as a tube, and then grafted together using Kitchener stitch. 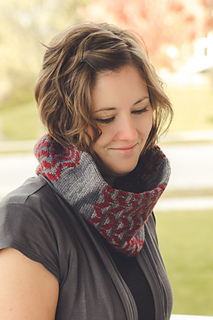 Luna Grey Fiber Arts is now offering Flambeau Cowl Kits in their Etsy shop, which include two skeins of their beautiful hand dyed yarn and a PDF copy of the pattern. 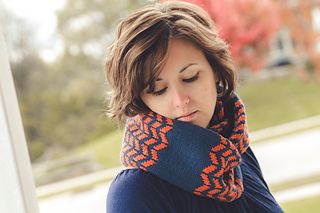 Be sure to check out their lovely colors and order up a custom kit! 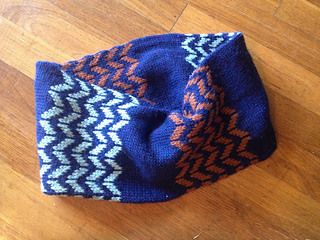 Looking for a matching hat? 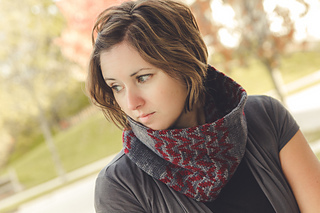 Check out Justyna’s Zig Zag Wings to complete your set! 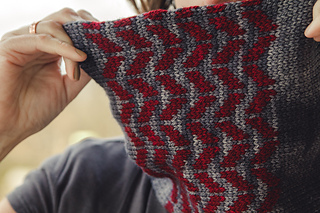 If your gauge in colorwork differs significantly from your gauge in stockinette, you may wish to go up one needle size for working colorwork to avoid flaring. 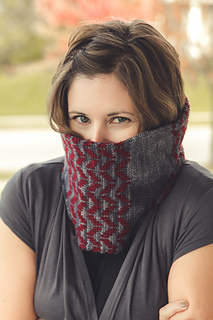 Also, if your row/round gauge differs much from the gauge listed on pattern, the length of your cowl will vary, as well as your yarn usage. 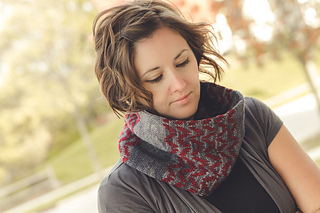 Please keep this in mind when choosing/purchasing yarn.